We hope that you will find our site helpful in finding the information that you need. Use the links below, and on the sidebar to navigate through thesite. You can always return to our home page by clicking on the CSRT logo at the top right of any page. Radiology headlines from Aunt Minnie.com. Get the latest information about what’s happening in Radiology HERE! Join the CSRT discussion list. 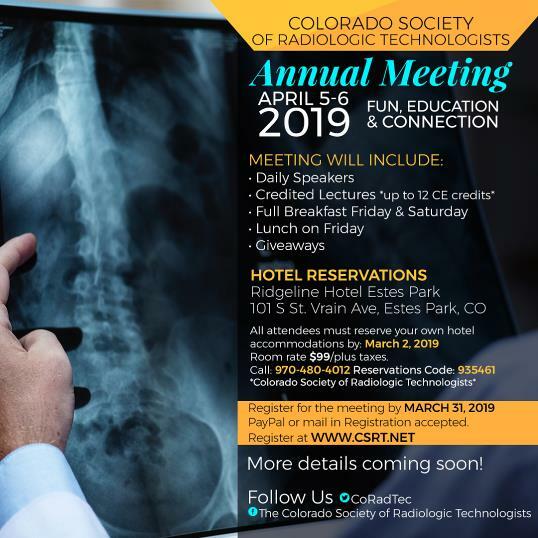 Join other professionals in discussing issues related to the Radiology Sciences and receive updates of information by electronic newsletter..
Pay your CSRT Membership online Click Here! 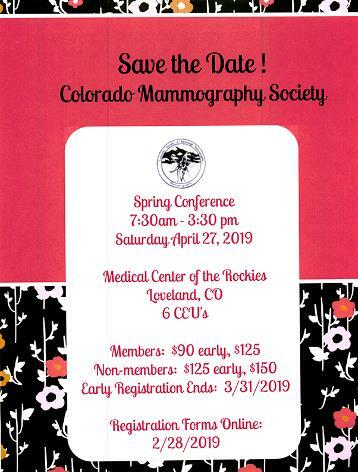 Stay connected with CSRT on Social Media! These are links to regulations involving CT operators in Colorado. Please note, that while they are similar, they are two different bills. · 6 CCR 1007-1, Part 02 - extends the current CT Operator program from July 2015 to July 2017. · 6 CCR 1007-1, Part 12 – clarifies the training for CT Operators. This information is provided as a way of apprising you of information the CSRT Government Relations Department receives as we monitor legislation and regulation. CSRT Elections is now closed!